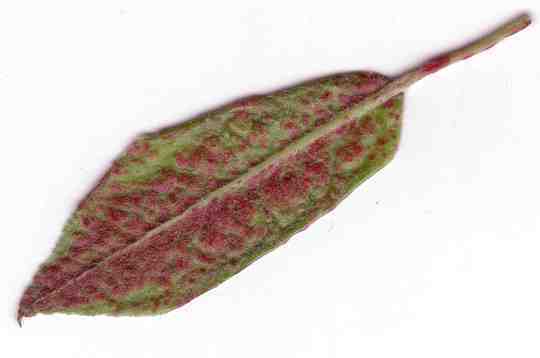 My pear tress appear to have red/pink blotches on their leaves and the leaves are curling I have attached an image of a leaf. Any ideas? the only thing I can think of is Felt Gall Mite - but usually these patches on the underside only look red if they're on a tree with purple, or purplish tints, to the leaves, on green leaved ones they look white. Patches are usually quite hairy if its that. No treatment available either - if it is felt gall, they don't kill the plant, but if you have a major infestation, it could be a bit of a problem. Usual 'control' is to remove badly affected leaves.